Detective Ryan O’Clery has always had dreams of a beautiful woman he’d loved and lost but when he discovers his ancestor’s journals from his native Ireland, he realizes his dreams are really the other man’s memories. 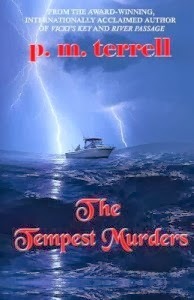 Now he is working a series of murders in North Carolina that are eerily similar to cases Rian Kelly was working when his soul mate was murdered during one of Ireland’s most horrific storms, in which the Atlantic Ocean swept over the island all the way to the Irish Sea. As Hurricane Irene barrels toward the North Carolina coastline, Ryan discovers the serial killer’s real target is a reporter who bears a striking resemblance to the woman of his dreams—a woman with whom Ryan O’Clery is falling deeply in love. Is history destined to repeat itself? Or can Ryan save Cathleen Reilly from a killer intent on destroying everything he ever loved? You can follow her blog at www.pmterrell.com.com. 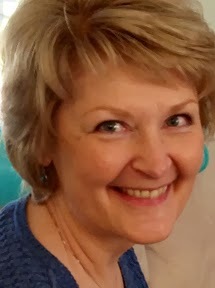 P.M. Terrell is the award-winning, internationally acclaimed author of more than 18 books in 4 genres. A full-time author since 2002, she previously opened and operated two computer companies in the Washington, DC area. Her specialties were in the areas of computer crime and computer intelligence and her clients included the Secret Service, CIA and Department of Defense as well as local law enforcement. Computer and spy technology are two themes that recur throughout her books. She is the co-founder of The Book ‘Em Foundation, whose mission is to raise awareness of the link between high illiteracy rates and high crime rates. And she founded the annual Book ‘Em North Carolina Writers Conference and Book Fair which takes place each February. She is also an animal advocate and helped to start the New Leash on Life program in which dogs destined for euthanasia are rescued and paired with prison inmates in Robeson County, North Carolina, who train them. The dogs are then adopted into loving homes.